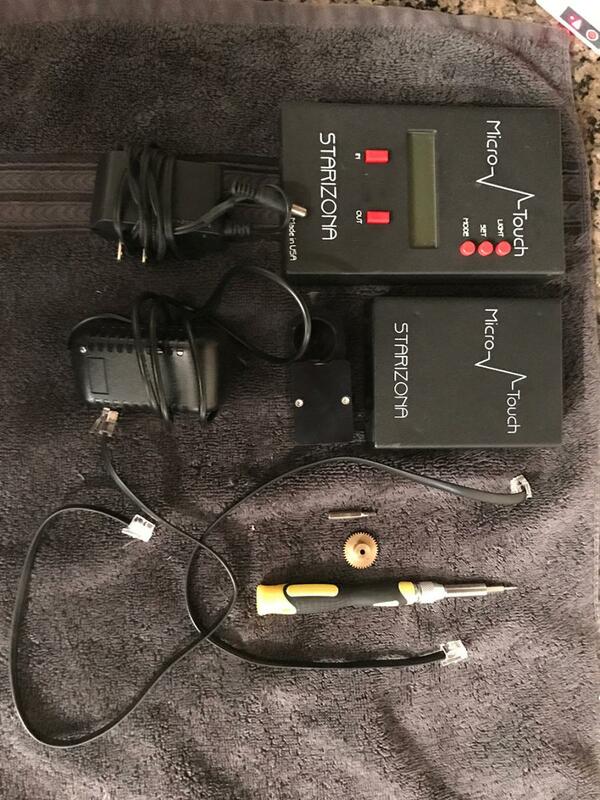 Starizona Microtouch Wireless Focuser (Price Reduction) Sold! 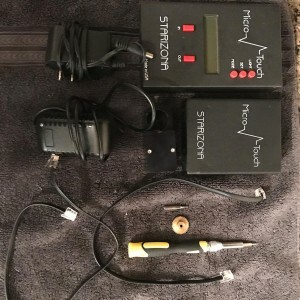 This MicroTouch Wireless Autofocuser is designed to work with the popular Feathertouch line of focusers from Starlight Instruments. It allows automatic focusing with CCD and DSLR cameras with popular software packages such as Backyard EOS, Sequence Generator Pro and TheSkyX, just to name a few. Manual focus at the controller is also possible using the hand controller. The hand control features an LCD screen for displaying a digital readout of focus position. The wireless module allows you to control the focuser from up to several hundred feet away. Included motor fits 2" Feathertouch Crayford focusers and Feathertouch SCT MicroFocusers (except old-style C14). Focuser was used on my Celestron EdgeHD 1100 with the Feather Touch Micro Focuser. This Wireless Autofocuser cost around $630 new. I am selling it for $375 OBO. Price includes shipping (CONUS only). Buyer agrees to cover the PayPal fee.